Even in the depth of winter the cycle of plant life is ready to begin again. Small increases in the length of the days can initiate growth and start the flowering process off. You can’t help but admire their resilience and determination to grow. 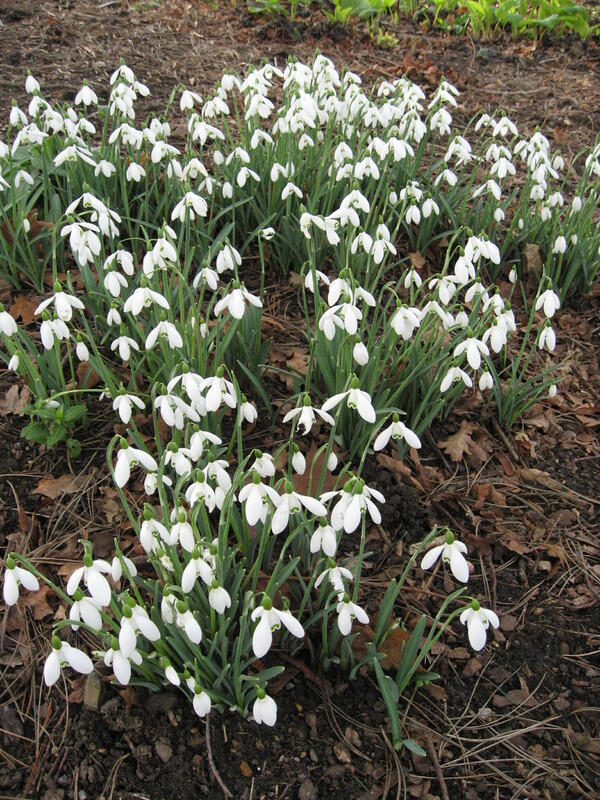 The first on the scene are the early winter bulbs such as the Snowdrops (Galanthus elwesii) with their delicate blooms. They look so delicate and fragile but in reality can withstand very extreme weathers indeed. 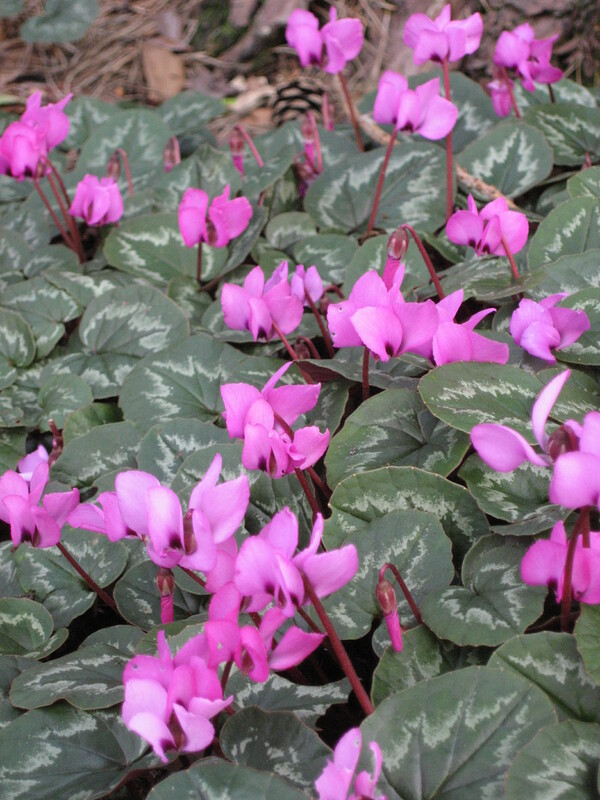 Growing in drifts, they make wonderful companions to the equally charming Cyclamen coum with their delightful deep lilac reflex petals and the Eranthis hyemalis with their bright yellow buttercup like blooms. They are all quite magical popping through a blanket of snow as well as simple creating a blanket of colour on a wooded part of the garden. The Hellebores have been in flower since Christmas with their understated elegance. The rose like flowers are very simple in structure facing down slightly but still rather beautiful. 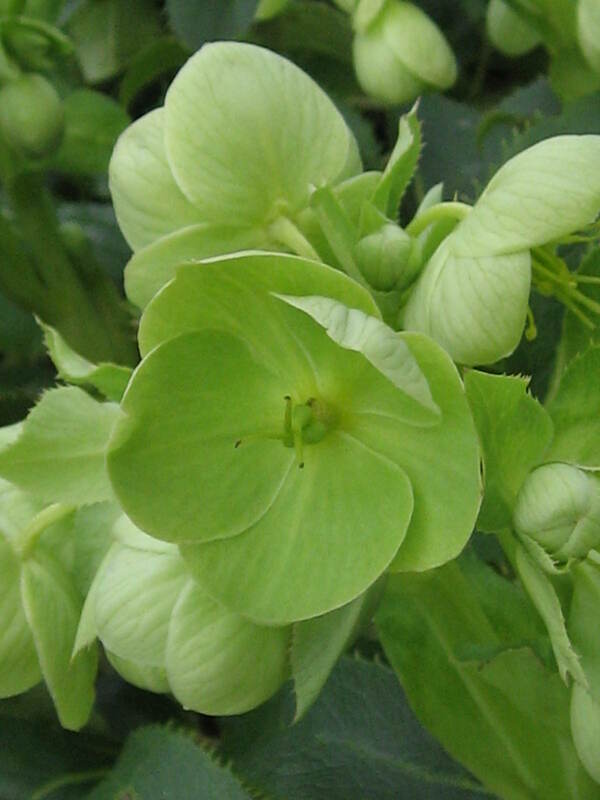 Often overlooked, the varieties of Hellebores provide a whole range of colours from a pure white through quite dazzling greens (like the variety below), pinks, reds and purples to almost jet black. A must for the winter garden. Winter colour is not particularly plentiful from flowers or colourful foliage, but the fresh stems of the Cornus and Salix provide a wonderful addition to the interest of the winter garden as I wrote in previous blogs. My Cornus sanguinea ‘Midwinter Fire’ are almost luminous at this time. Their bright yellow and red stems resplendent in the front garden. Although the shrubs look asleep, have a closer look and you will see that they don’t hang about. The new buds are already on the Viburnums, Ceanothus and the Ribes amongst many others. You just can’t stop ‘em! These buds will withstand strong icy winds and bitter frosts in order to be some of the first plants in leaf and flower in the new year. 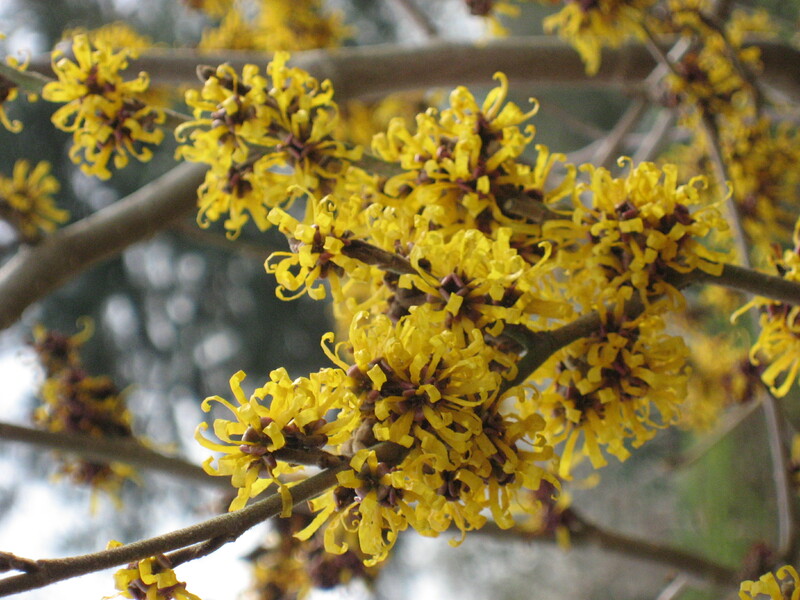 The wonderful Hamamelis don’t bother to wait for their foliage to sprout before they provide us with the heavenly scented blooms straight from the branches. These spidery yellow, orange and bronze flowers will cover the shrub and fill the garden with a delightful perfume on a sunny winter’s day. One of my favourites. If you are lucky enough to live near the RHS gardens at Wisley, make a trip to the Seven Acres garden to experience a wonderful show of these witch hazels. Not yet though, leave it a few weeks to let them come into flower. As I write, the beds are amass with the next wave of bulbs to come in a couple of months’ time. The daffodils and early flowering tulips just can’t wait to get their heads out into the air and start to take advantage of the light. So life begins again and the garden lovers amongst us are full of anticipation and plans, just as we were last year at this time. As my grandfather said ‘a garden is a fine thing, a bit like a child, take your eyes off of it and it will misbehave, but tend and care for it and it is a joy and something to love always’.